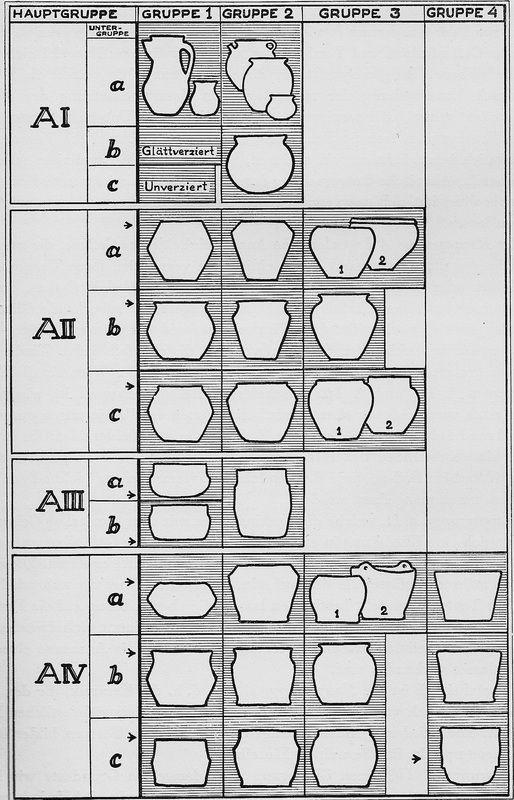 Outline of Swedish ceramic forms from Viking Age. After Selling, 1955. Not a strict chronological series. 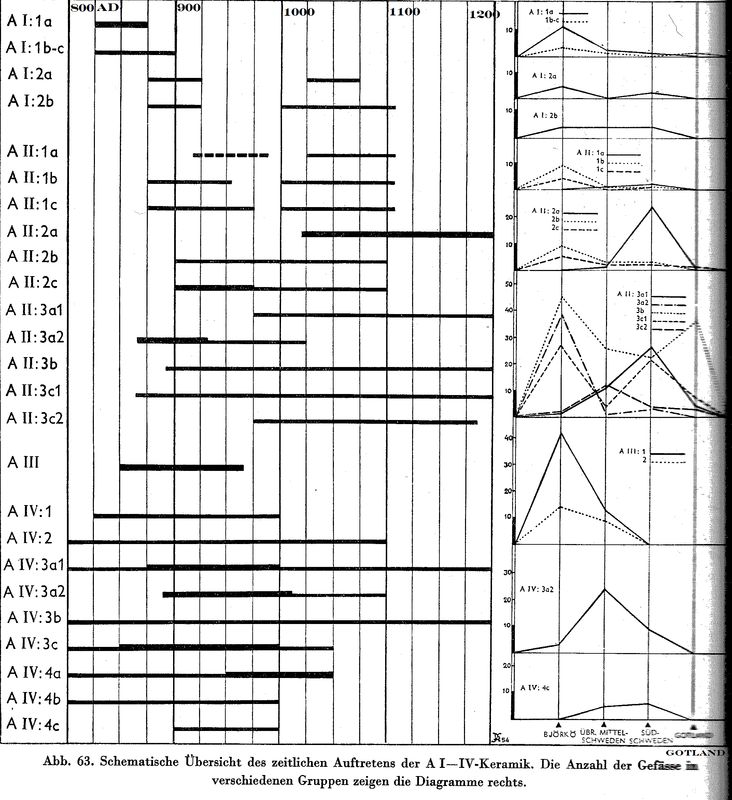 A chronological distribution of the types shown above. Also from Selling. The curves at right show the relative contributions of regions to the total.